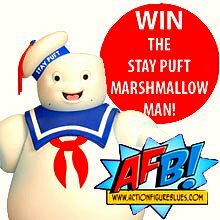 One week left to win the Stay Puft Marshmallow Man at AFB! 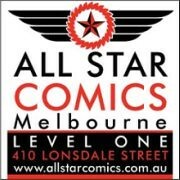 This is just a reminder that there is one week left to enter the "Sing a Song for Stay Puft" Competition! All the details on how to win our biggest prize yet are here. Remember - this is NOT a musical competition - any creative entry will do - you just need to tell us why you should be the one to take Mattel's amazing Ghostbusters piece home! Get creative - and you might be the one to get Stay Puft! Stay Puft the character as seen in the movie was an outfit created by Bill Bryan using miniatures, optical compositing, and Bryan himself in a latex suit. The suit was made of two layers, an outer flammable layer and inner fire-proof layer.